If you have always wanted to spend your summer or winter holidays in a typical alpine village, then the village of Chamois, reachable only by cable car, by bike or on foot, is the right place for you! In winter, the Chamois ski area offers beautiful slopes of over 16 km. During the summer the area offers countless sporting and recreational activities: marked trails for excursions, artificial rock gym, paragliding, riding stables, tennis and volleyball. 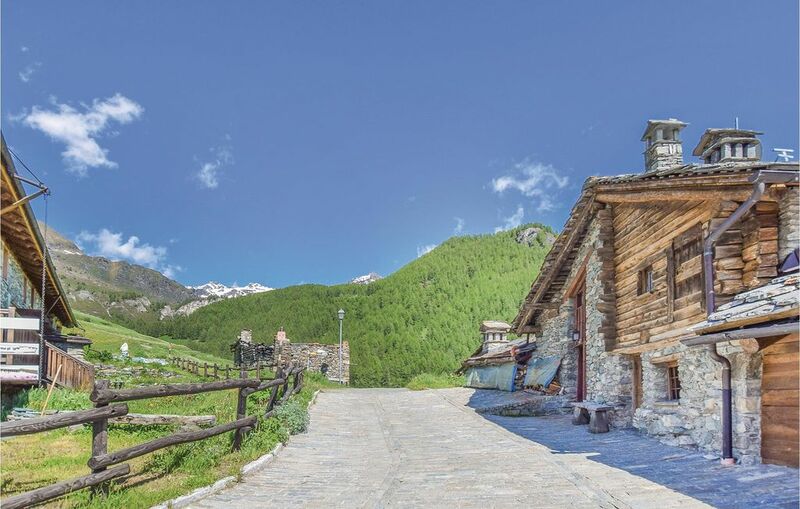 The region Valle d'Aosta is famous also for its art and culture. In Aosta (37 km) you can admire numerous monuments from the Roman era (i.e the Arch of Augustus and the Roman Theater).